Don't take away Chris Evans' shield just yet! 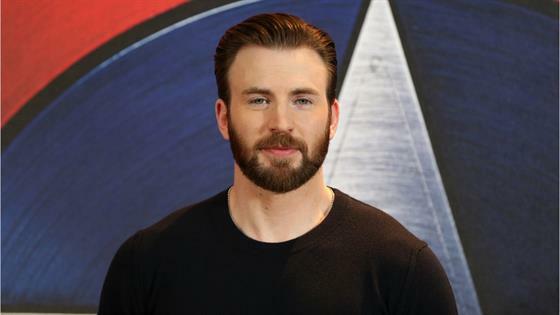 Marvel fans have been speculating for months about whether or not the Hollywood actor will be retiring from his Captain America role following the release of Avengers 4. Rumors weren't exactly stopped when Chris took to Twitter on the final day of filming with an "emotional" goodbye. "Officially wrapped on Avengers 4. It was an emotional day to say the least," Chris shared with his followers. "Playing this role over the last 8 years has been an honor. To everyone in front of the camera, behind the camera and in the audience, thank you for the memories! Eternally grateful." Before you read into the message too much, the Avengers 4 director has something to say. "I think it was more emotional for him than us only because he's not done yet," Joe Russo shared with ET Canada. "And I won't explain what that means but the audience will soon understand what I'm talking about." But what does it mean now?! While we ultimately have to wait until the film hits theatres everywhere on May 3, 2019, Chris tried to explain his Twitter message when appearing at Chicago's Ace Comic Con in October. "I did tweet something that made a lot of people think it was in some way a spoiler. I should clarify that regardless of how Avengers 4 ends, I would have tweeted the exact same thing," he told fans. "That last day of filming was a very emotional day, and it was the culmination of almost 10 years of filming and 22 movies—this unbelievable tapestry." Chris continued, "You feel a lot more emotions than I think even I thought I'd feel. I felt it was appropriate to share the gratitude. I know it had a ripple effect, but I am neither confirming nor denying anything." For now, perhaps moviegoers should just enjoy the suspense and the mystery surrounding Marvel's highly anticipated movie. After all, have you been dissatisfied in the past? "It's never been done before, and I don't know if it will ever be done again. They really stick a flag in the ground on this one and pull out all the stops," Chris previously teased. "You won't be disappointed!"